Today the fight for inclusion is more relevant than ever. People of all ages, races, genders, cultures, backgrounds and abilities continue to face discrimination, ignorance and disparagement. Just as Eunice Kennedy Shriver did in 1968, Special Olympics is setting a stake in the ground and is once again prepared to alter the course of historythis time, with people with intellectual disabilities leading the way. No longer is it enough to provide a place for people with intellectual disabilities to come together through sport. It is time to demand uncompromising inclusion— in school, employment, healthcare, social activities and yes, sports, too. From the youngest among us to the oldest. WE WILL INNOVATE. 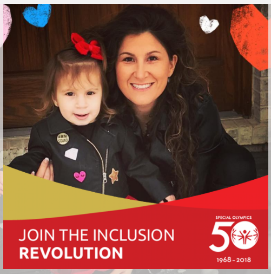 As growth in the number of individuals Special Olympics serves continues to climb, the quality of the coaching and sports experience combined with the sophistication of health outreach requires immediate and innovative efforts to meet the demands of the next 50 years. As the backbone of the movement, Special Olympics seeks to be the leading expert, convener and deliverer of the highest quality sports and health experience for people with intellectual disabilities in every community around the world. WE WILL UNIFY. Special Olympics views youth as the architects of lasting change and leaders of a dignity revolution. Together youth with and without intellectual disabilities will be called upon to break down persistent barriers to inclusion worldwide, creating a truly Unified Generation. WE WILL EMPOWER. Special Olympics acknowledges that full inclusion must go beyond the playing field. To empower people with intellectual disabilities to live up to their fullest potential, Special Olympics will place a prioritized focus on augmenting the availability of leadership opportunities and opportunities to attain and retain job readiness skills. This lifetime of inclusion begins with you. With our athletes at the helm, this revolution requires a personal commitment that you will no longer tolerate discrimination against anyone deemed different by society. It requires that you commit to help Special Olympics spread a message of inclusion, creating a world where all people are recognized for their diverse abilities and backgrounds, not discriminated because of their differences. We need rebels, heroes, and fighters like you NOW. Join us in INNOVATING health care and sport opportunities; UNIFYING society by breaking down barriers; and EMPOWERING people with intellectual disabilities to live their fullest potential. We are done taking no for an answer. Are you? Social media has proven to be a very effective way to raise awareness for Special Olympics, Special Olympics Illinois & causes that matter! Social media allows people to engage in conversations that help innovate, unify & empower. Here are some of the more robust social media channels that you can join discussions, share photos & videos or follow conversations online! 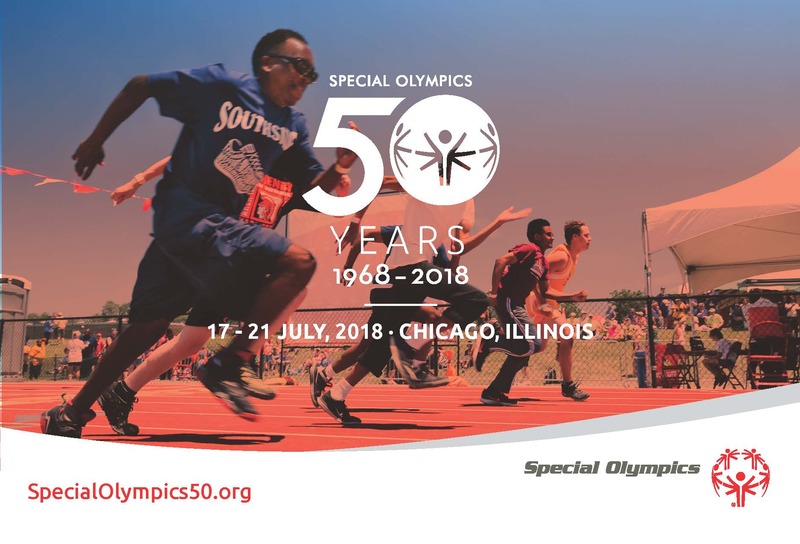 Sample Post: @SpecialOlympics International, @SpecialOlympicsIllinois and Special Children’s Charities will jointly host a week of exciting events to celebrate the past 50 years of Special Olympics and launch the movement into the future. Visit https://www.specialolympics.org/50th.aspx to learn more! Tag @SpecialOlympics & @SO_Illinois in tweets whenever possible. The main hashtags to use when tweeting about the 50th Anniversary are #specialolympics50 & #inclusionrevolution. When you see positive tweets in support of Special Olympics 50th Anniversary, retweet them and thank the originating handle and follow them! Tweet at your favorite celebrities and ask them to support Special Olympics 50th If they ask to get involved, please contact Karen or Teresa for additional assistance. 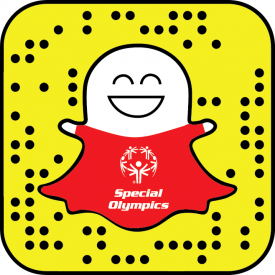 Tag @SpecialOlympics & @SpecialOlympicsIllinois in posts whenever possible.